This is Part two in a series of articles and this article will focus on the development of the DIF 100 series and further improvements that were made in chronological order. 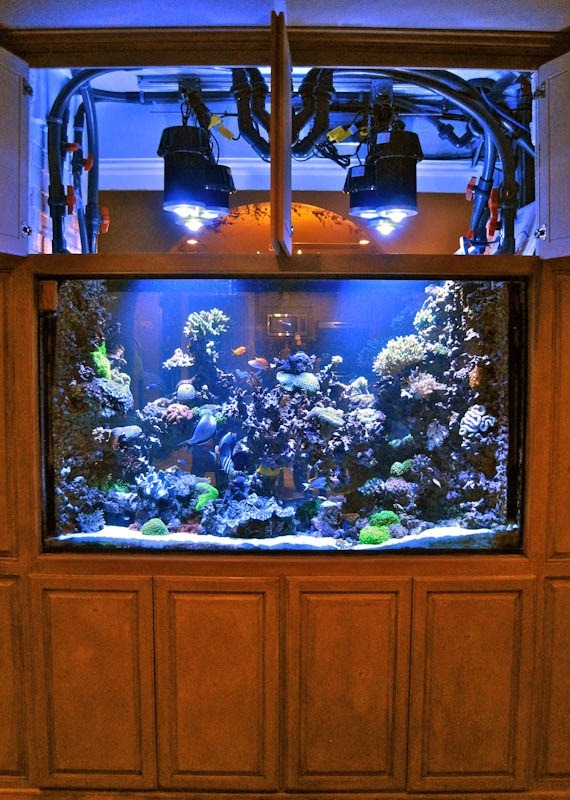 Orphek engineers wanted to design and build a pendant that would allow hobbyists with deep tanks to take advantage of the energy savings of LEDs while providing an excellent PUR range while providing a high PAR level necessary for these systems. The DIF 100 was designed so that different lenses could be used depending on the user’s application. Four different lenses are available in the following degrees; 45, 60, 90, and 120. 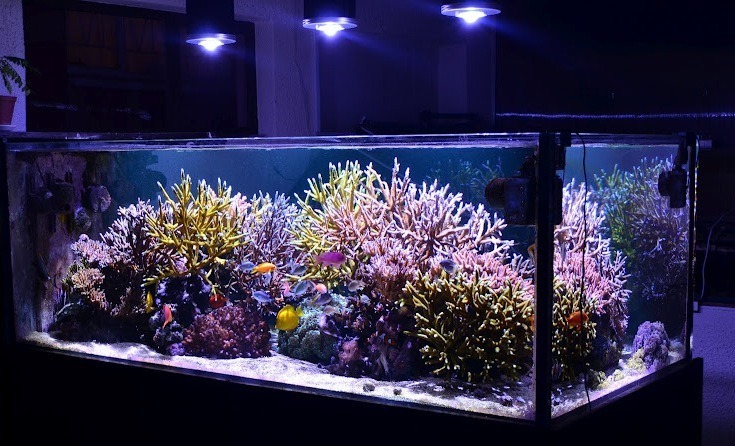 The 45 degree lens allows users to penetrate deeper tanks with the needed PAR level while the 120 degree lens offers more coverage for shallow aquariums such as coral display tanks. 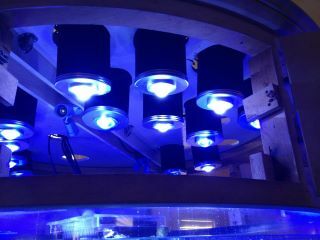 And, all this is accomplished without the need of a cooling fan by using a revolutionary extruded aluminum heat sink. The heat sink used in all DIF series pendants is fabricated by extrusion. This process involves heating the aluminum bar stock and pulling it through a die to form the heat sink. 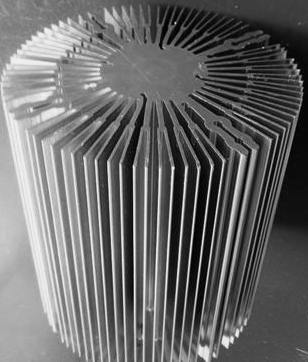 In general, heat sinks that are fabricated from a solid piece of metal will outperform heat sinks where the fins are bonded to the base with a bonding agent. 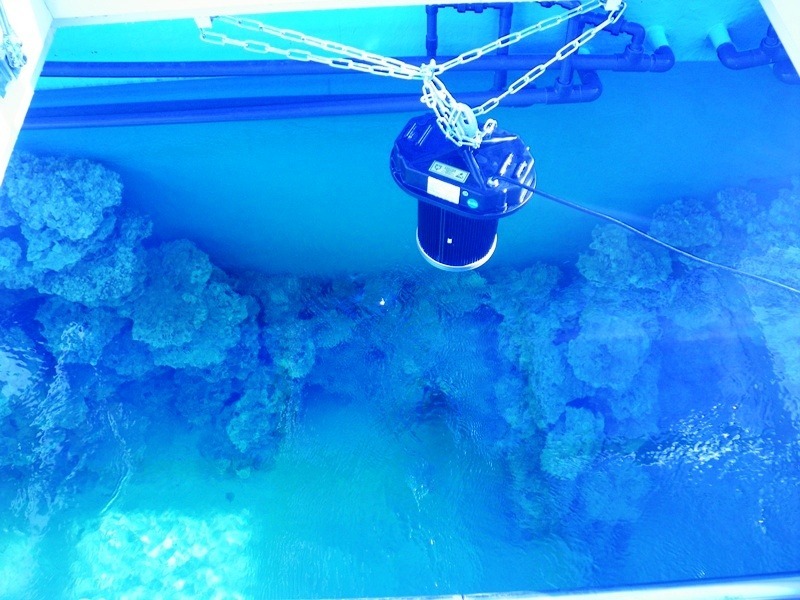 With this method, thermal transfer is inhibited by the bonding agent itself. Die casting is another method of forming heat sinks but has one drawback. As the molten metal cools in the die, it inherently expands creating voids in the structure. The porous interior weakens the structure, inhibits thermal performance, and is difficult to machine. Orphek chose to use the more expensive method of extrusion and incorporates extruded aluminum heat sinks for all DIF series Pendants. 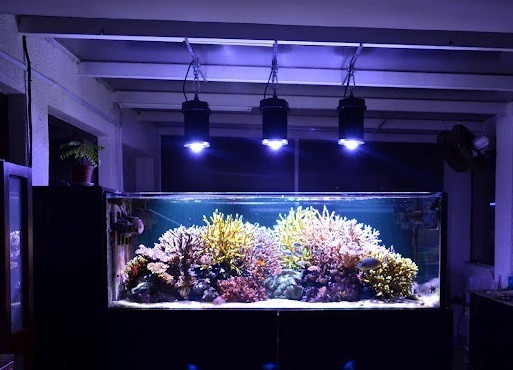 This method greatly increases the life span of the LEDs and electronics by efficiently dissipating more heat, and without the need of a noisy cooling fan. 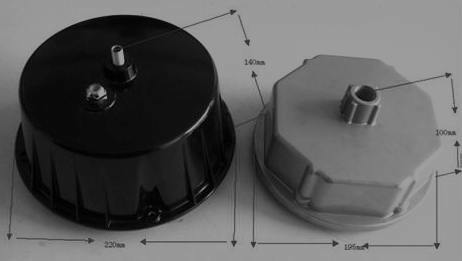 A heat dissipation of the electronics box, is a die cast aluminum cover (below) is used to protect the driver, and to seal the entire electronics section of the pendant. 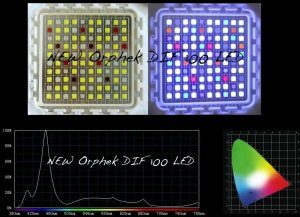 Orphek’s engineers decided to improve the DIF 100’s performance by adding a new multichip which now include red and UV LEDs. This improvement boosted the spectral response in the PUR range which includes chlorophyll A and B. 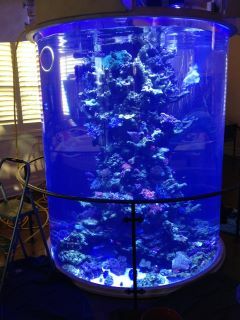 This offers better color, florescence, and improved growth of corals. To further improve the efficiency of the already efficient DIF 100, a new industrial quality driver was used. The driver is manufactured by Mean Well and features a constant current driver with EMI filtering and auto over current shut off. The voltage and current are regulated to within +/- 0.5 percent and the driver carries a two year warranty. over a 42? 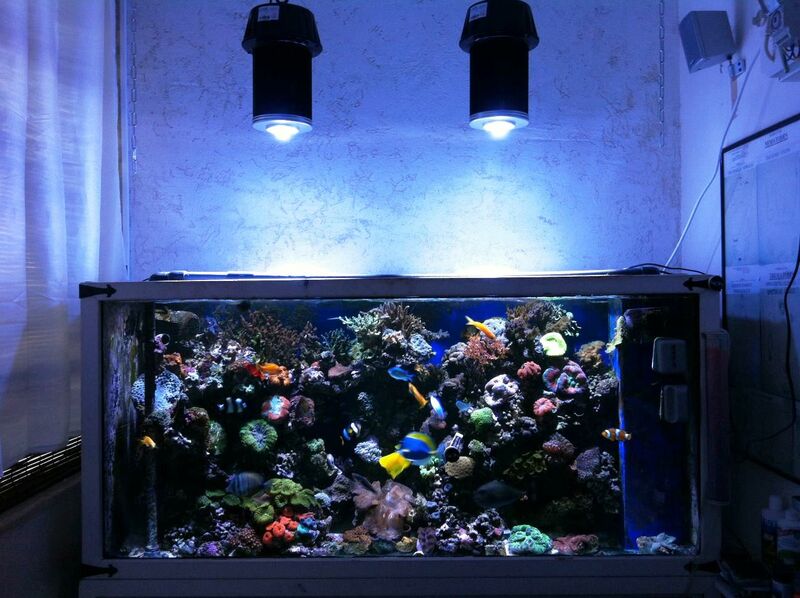 deep, 479-gallon reef system replacing 1600 watts of metal halide. 42? 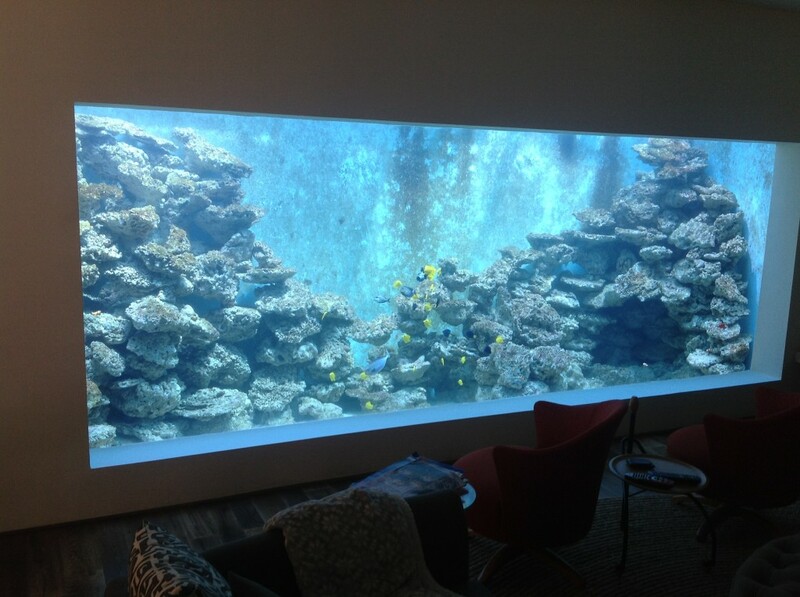 deep, 479-gallon reef system replacing 1600 watts of metal halide.